A large-scale study of living standards in Russia has been conducted jointly by RIA Novosti news agency and the Moscow News newspaper. The study showed that the highest quality of life can be found in Moscow and St. Petersburg, whereas the Republics of Ingushetia, Tyva and Kalmykia have far less favourable living conditions. This new study once again shows a large gap between Moscow and other regions. 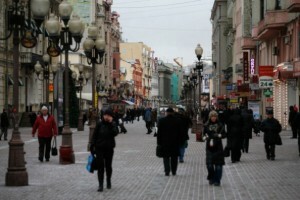 According to the research the average income in the capital is 95.2 points out of 100, in Saint Petersburg – 74.4, and the Moscow region got 57.2 points. Meanwhile the Republic of Tyva got only 7.6 points – 12 times less than Moscow. Moscow also has the highest indicators for healthcare across the country. However, the indices of safety and satisfaction are lower than in many other regions of Russia. The researchers are not surprised by the results from the other regions as all three regions – Ingushetia, Tyva and Kalmykia do not have enough financial independence. “The share of Ingushetia’s own profit in the regional budget is only 16%, in Tyva – 24%”, the study said. Tatarstan is ranked fourth in the study, leaving behind the oil rich Khanty-Mansi autonomous okrug and Tyumen region. The study attributes this high rank to high development of chemical and engineering sectors. The study divides the successful entities in three groups – those having rich natural resources or capital status; regions with favorable for business conditions (e.g. Novosibirsk and Nizhny Novgorod); and investment-appealing regions (Lipetsk and Kaluga). Russia is divided into 83 federal entities: republics, regions (oblasts and krays), autonomies (autonomous okrugs) and federal cities. Moscow is the current and historical capital of the Russian Federation, however, Saint Petersburg was at the head of the country for over two centuries.